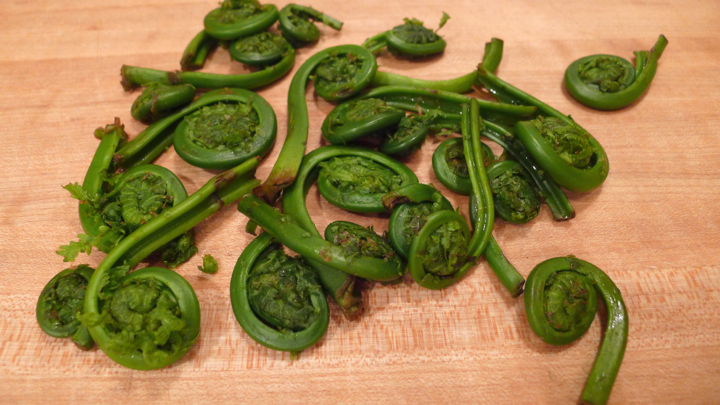 I have never eaten fiddlehead ferns before. I’ve seen them a few times the farmers market, but have always been too intimidated to buy them! 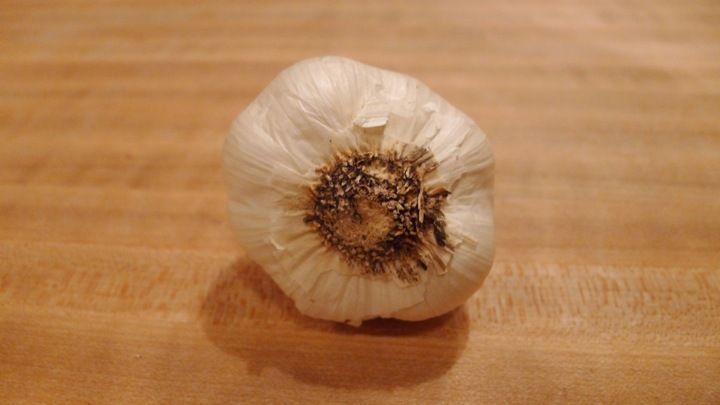 This is what I love so much about being a part of a CSA, you get to learn about all these wonderful foods that you would likely never try, or even know about, if they didn’t show up in your bag each week. 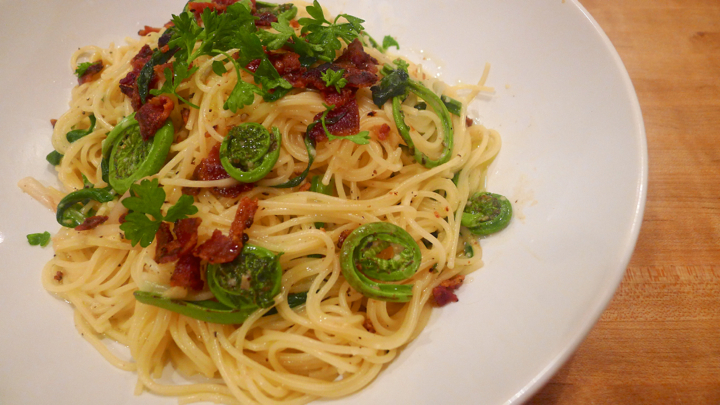 And as it turns out, I love fiddleheads! They taste sort of similar to a green bean I suppose, but smaller and a little crunchier. I’ll definitely be picking some up at the farmers markets from now on! 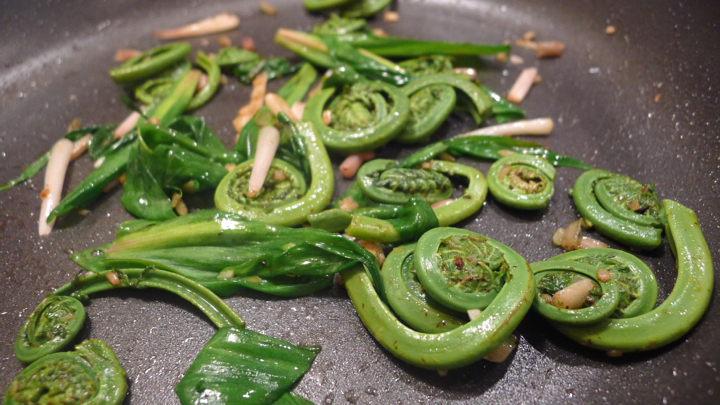 Start by washing the fiddleheads well, then boiling them for 5-7 minutes. You HAVE to boil them before cooking them, as there have been food poisoning relates cases of eating raw fiddleheads. By boiling them, you ensure that this will not happen. It’s really just a precaution, but recommended! 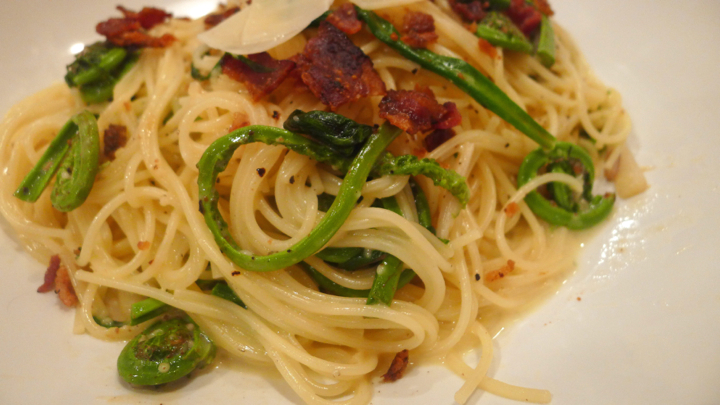 Once your fiddleheads have boiled, set aside. Cook the bacon until crispy and also set that aside. 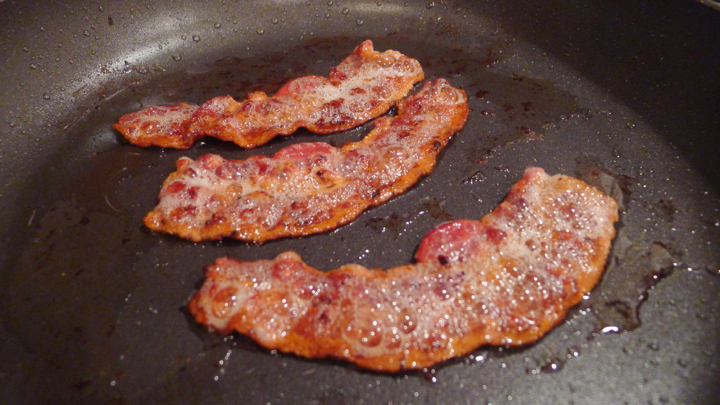 I would also recommend making one extra piece of bacon to snack on, because bacon is delicious. Next, get a large pot of salted boiling water going, and cook your pasta per the box instructions. 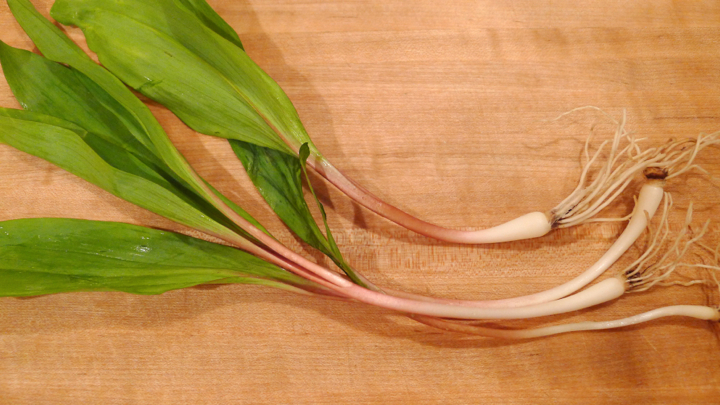 While that cooks, saute the garlic, ramps, and fiddleheads in a little of the leftover bacon grease from the pan. If you’d rather use olive oil that is fine too. 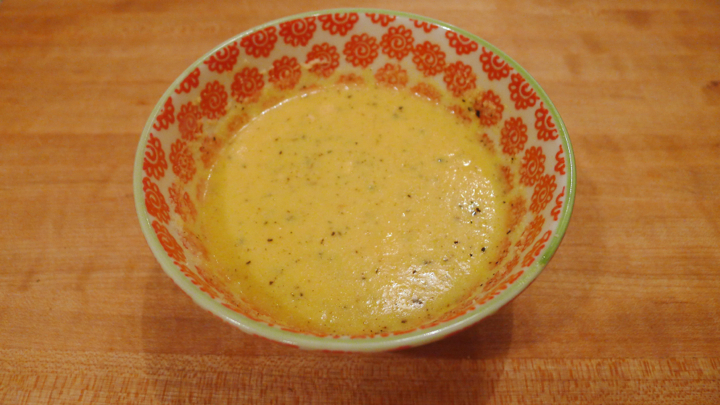 In a bowl, mix together the egg yolks, Parmesan cheese, cream, and some pepper. Strain the pasta and add to the pan with the ramps etc. Reserve 1/4 cup of the pasta water. Turn off the heat and let the pan cool about 30 seconds, then pour in the egg mix and stir well until fully incorporated. Toss in the crumbled bacon pieces and some fresh parsley. If you feel it’s dry at all, add bits of the reserved pasta water to help smooth the sauce out. 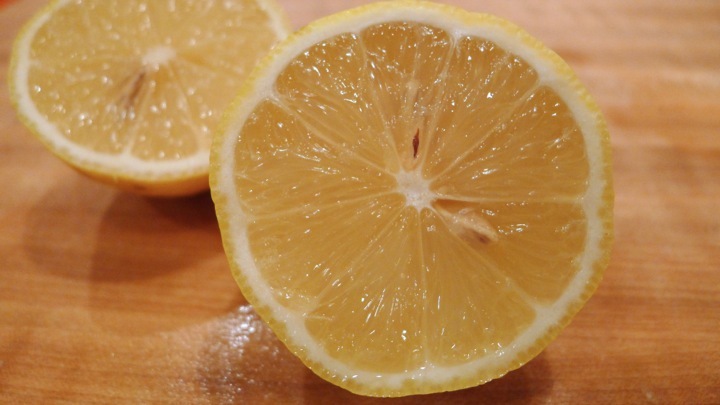 Plate and squeeze a wedge of fresh lemon on top. Enjoy!